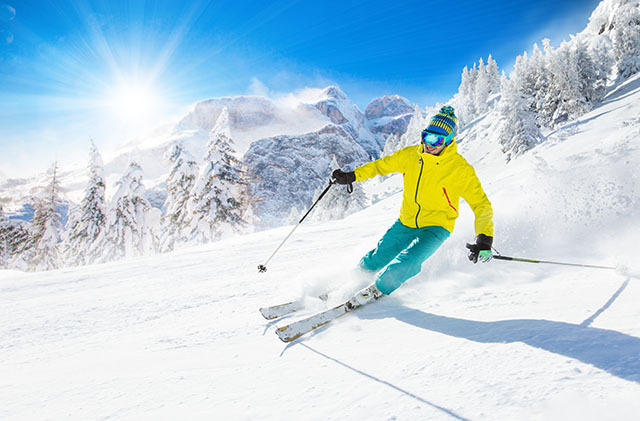 Can’t decide if you would rather hit the slopes or lounge on a beach during your upcoming winter vacation? With private jet travel, you no longer need to decide on mountains or marine life but can maximize your holiday and experience both. Here are the top five private jet destinations for snow and sun this winter. Big Sky, Montana— home of the Yellowstone Club— is the choice for many private jet travelers during winter months. From November through April, the exclusive resort offers home owners in the community phenomenal skiing and boarding opportunities. With over 100 runs and 2,700 skiable acres, as well as an expansive private residential community framed by the grandeur of the Rocky Mountains, the Yellowstone Club is an incomparable location for your next family getaway. For those who do not own property at the Yellowstone Club, the perfect powder of Montana’s incredible terrain is accessible on the Big Sky side of the mountain. With a majestic setting, expansive terrain, and an idyllic mountain town, Vail is a lovely weekend private jet trip. Spas, restaurants, luxury hotels, concerts, events, and world-class skiing offer endless options for all types of private jet adventurers. The best way to book your next powder holiday to Vail is with Clay Lacy Preferred; where private jet charter clients receive priority fleet reservations and no blackout dates during busy winter travel months. Zermatt is a famed ski destination for not only Switzerland but all of Europe. Considered one of The Alps prettiest ski resort towns, Zermatt invites private jet travelers to play in perfect powder, dine in upscale restaurants, and revel in relaxation in exclusive mountain chalets. After arriving by private jet to Zurich or Geneva, car-free Zermatt may be reached by train, taxi, or helicopter. The islands of Hawaii are appealing to private jet travelers, and Lana’i is no exception. The smallest of the Pacific Ocean archipelago, Lana’i is themed by ‘escape’ in every way. Private, exclusive, breathtaking, and quiet, those hoping to ‘step-off-the-grid’ while still experiencing the amenities, service, and beauty of that of Maui or Kona will find Lana’i the perfect private jet destination. Canouan— a remote Caribbean island hideaway— is a sought-after private jet destination for sun, adventure, and winter-time beach relaxation. Part of St. Vincent & the Grenadines and appreciated for its beauty, landscapes, and stunning marine life, Canouan is a not-to-miss private jet destination for those who love endlessly stunning beaches and warm sunshine. Book your next private jet charter with Clay Lacy Preferred to receive exclusive rates and premier access to an extensive fleet. Speak with a Clay Lacy trip coordinator to craft your perfect winter escape.